24option is definitely one of the best binary options trading platforms. It has been founded in Cyprus in 2010. In a short time has become one of the most frequently used platforms. The reason? It is simple and intuitive, it responds immediately to orders, has a wide range of underlying assets on which you can trade and presents the most comprehensive schedule of short-term maturities at 60 seconds 120 seconds and 300 seconds. As soon as you register you immediately have the feeling of knowing how to use it, as it is been designed in such a way that everyone can learn to use it quickly and intuitively. It does not require any download as it is a web-based platform, and therefore liable to windows, mac and all kind of OS users. If you want to use it in fact is enough your browser: safari, chrome, firefox, explorer, etc. The 24option training center is well stocked and you can have access immediately to many training videos that can be watched without any initial deposit. 24option customer support are really good and helpful and can guide you both to take your first steps in this field, than to make you become an experienced trader. The platform is available in the following languages​​: Espanol, English, Italian, Francais, Portugues, العربية, Dansk, Indonesia, 日本語, 한국어, Latviesu, Romana, Русский, Svenska, Türkçe. 24option is a web based binary trading platform. The entity is operated by the Rodeler Limited, an organization based in Cyprus. The business entity also boasts of a wide array of binary options strategies including the 60 seconds, high yield boundary, and the high/low among other strategies that can be utilized by day traders in order to expand their trading journey. The web platform has integrated industry specific web design for financial services business by incorporating over twelve different languages, integrating online support tools, and also embedding an educational platform. Through 24option trading platform trader’s cash deposits and withdrawals are swiftly processed. There is a dedicated intuitive banking center within the web based system that facilitates financial transactions whether they are fund deposits or withdrawals. 24option is principally authorized and regulated by the Cyprus Securities Exchange Commissions (CySEC) through license number 211/13. CySEC is an organization mandated by the European Union to exercise effective supervision to ensure investors protection and a healthy environment of the security markets. The regulations also entail the finance entity to always obtain customer specific information including residency, physical address, ad a passport photo that must be attached to national government issued identity card or passport document. Other regulations that 24option margin trading business has acquired include; authorizations from the Centre for Regulation in Over the Counter (OTC) financial instruments and technologies. These registrations are mandatory for the company because they have opened offices in different countries that require certain procedures to be adhered to before issuing a license to any finance business. A trader will then be required to enter his/her basic personal information which includes the traders first name, last name, e-mail address, personal phone number, nationality, and a base currency to be used when trading. Some of the base currency available from the platform include; the US dollar (USD), Euro (EUR), British Pound (GBP), Japanese Yen (JPY), Swiss Franc (CHF), Chinese Yuan (CNY), Turkish Lira (TRY), and the Russian Rubble (RUB). Traders will then proceed search and insert a unique username together with a secure password. Immediately after all the information is sent, one of the company’s support staff directly contacts the trader to request him to upload certain documentation and this includes a government issued ID card or a passport, a utility bill with your personal details such as names and your physical address printed on it. In case the trader is planning to use swift money transfer for deposits and withdrawals, it is mandatory that they should also include their general banking details such as the bank account number, SWIFT codes, IBAN number and branch name. After the documents have been verified and they have been found to be legitimate, the account is approved and the trader is immediately notified on the next step which is either to trade using a demo account if he/she happens to be a newbie in margin trading. If as a trader you convince the company that you are an expert and can go directly into live trading, you can proceed and make deposits using a preferred payment method which could be a credit/debit card, an electronic wallet, or you can fund the account directly through swift bank to bank money transfer. However, take note that the process of first using a demo account is not compulsory and if a trader feels that he has what it takes to trade futures which involve substantial risk of loss of funds, they are free to proceed and make their first trade. With the demo account it is compulsory that the trader must make an initial deposit of 250 Euros. However, you do not have to use the 250 euros right away because you are still operating a demo account. The cash can later on be used when you are familiar with the portals operations or when you are comfortable venturing into the live market. The reasons as to why the deposit has to be made is to wade out unserious clients who are likely to utilize the company’s platform for selfish gains. Such web based portals consume a lot of resources in terms of maintaining them and paying for the bandwidth and this is the main reason that the company must ensure that only serious people who are ready to do business with them use such facilities. The demo account is 100 percent virtually risk free. Through the demo account, traders are able to explore the intricacies that are involved with the 24option trading platform while testing new trading ideas and strategies. A demo account comes with all the trading tools available under the platinum account and this means that traders will always obtain invaluable lessons to hone their trading skills. As a result, a trader using a demo account is likelier to have a head start when it comes to live trading. Since the demo trades are unlimited and they come with no trading restrictions whatsoever, traders are able to try out key strategies such as the 60 second options while at the same time practicing other prudent money management skills. In case a demo trader feels that 24 options is not the best futures trading tool, they are at liberty to withdraw funds from their real money account with no strings attached. This is also one of the reasons as to why numerous rules are enacted to govern financial organizations, now withholding of client funds without proper explanations. It is one of the most common strategies. Through the concept a trader will place a call if they foresee the price of the underlying asset is likely to go up above the buying price after the expiration of the contract. A trader can also place a put if he/she believes that the price is likely to finish lower than the buying price at the end of the contract. The Up/Down Call/Put strategy under the 24option platform is pre-designed with excellent trading techniques including the 60 seconds, one hour, and after the lapse of 24 hours. Immediately a trader commences a transaction, 24 options trading system automatically monitors the trade and exists after the pre-determined time frame. 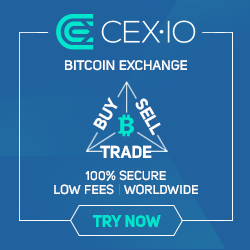 For instance, with the sixty seconds trade, a trader can call for an underlying asset, and after the lapse of 60 seconds the system automatically “Put’s” the trade, if the price increased the trader makes a profit and considering the high leverage ratios, a single 60 seconds winning trade can be as high as an individual’s monthly wage. But note that if the price decreased the trader will lose his invested capital on this trade. The system also sends to traders automatic email and SMS notification on the status of each trade. The status of active trades can also be monitored through the trading portal by using a computer, tablet machine, or a smartphone. This concept includes different mechanisms such as the double touch, no touch, and touch. Touch option trading strategy involves selecting predefined rates that is required to win any trade rather than the trader just only predicting whether the underlying asset value will go up or down. The trader must predict a certain threshold that the underlying asset is likely to hit (touch), or not hit (no touch). In a practical scenario the level is usually higher or lower than the prevailing price of the underlying asset. Touch options are only purchased during the weekends and public holidays when the markets are closed and nobody exactly can ascertain exactly how the market is likely to swing when the next trading period resumes. With no touch, traders win their trades when predefined thresholds are not hit, and with a double touch which is basically making predictions at two predetermined levels, the trader wins the trade when either of the thresholds is achieved. This is a strategy that expires immediately after the lapse of 60 seconds since a particular trade was executed. A clear cut advantage with this particular method is that in most cases the underlying assets always tend to move in one direction for short periods of time a situation that increases the chances of a trader winning the trade but there is always the risk of the opposite aspect with investors losing their invested capital on that trade. The concept is ideal for traders who want to trade in a short-term timeframe and they can swiftly respond to sudden market movement’s and absorb the thrill associated with the margin trading business. In this concept the upper and lower levels are pre-defined, which is the boundary or rather the prediction of price range of the underlying asset. The trader needs the asset to keep on operating within his predefined region in order to win the trade. Such a technique is ideal during stable market conditions where there are no anticipated announcements because it shall be easier to ascertain price movements. The concept also works pretty fine in volatile markets since margin traders are able to make their predictions outside certain boundary. However, it is advisable to note that the Futures market is the largest market in the world involving over $5 trillion worth of trades and no single entity, new, or announcement is able to influence its direction therefore it is advisable to always trade cautiously, it is not a walk in the park. The global Forex market accounts for over $5 trillion US dollars’ worth of an average day’s trading volume, which is larger than the entire world stock market combined. Courtesy of 24options trading platform, it is possible to initiate Forex Futures contract which are basically standardized contracts to buy and sell currencies at specified time frame. Currencies are publicly traded and guaranteed against credit losses through intermediary financial institutions known as a clearing house. 24options is one such clearing house. In order for the clearing house to mitigate financial losses from the volatility of Forex business traders are required to make deposits known as margins. Since there is no borrowing involved to acquire future contracts, this particular margin acts as collateral to ensure that all the parties involved in the trade are protected from any financial losses. 24Options offers Binary Options on Forex where can be traded form different exchanges across the globe. It is possible to day trade and a trader is allowed to be in and out of a trade within minutes. You only need to make the correct prediction based on a combination of factors that could be economic new, political events, or general market trends. Some of the currency combinations that can be traded under 24 options platform include EUR/USD, GBP/USD, EUR/JPY, GBP, JPY, USD/JPY, EUR/GBP, and USD/CAD among other global major currencies. The EUR/USD is the most common currency pair and also the most volatile since they fluctuate their values more than eighteen thousand times within a span of twenty four hours. Energy- This is natural gas, heating oil, and crude oil. Energy prices also tend to fluctuate so much in a single day. Metals– These include gold, silver, platinum, and copper. They have a huge market and in most times tend to give an indication on the general direction of the global economy. Livestock and Meat – This includes live cattle, pork bellies, and lean hogs. They are considered basic items and thus important items in any market with their prices getting affected on a minute basis due to a number of factors such as diseases and supply & demand. Agricultural – These are cocoa, coffee, rice, wheat, soybeans, and corn. They are one of the most sought after products in the market and their prices also tend to fluctuate too. When investing in commodities market traders are required to adhere to basic economic principles. Low supply of a commodity is likely to result into a higher market price. During commodity trade investors are advised to follow market trends. For instance, during widespread health concerns there is a tendency for scarcity of animals at the market place and as a result, the prices of the animals are likely to go up. Also during extreme weather conditions, certain commodities are likely not to perform well and this includes both crops and animals. In winter, there is always a tendency for increase in energy demand and products such as oil and gas will likely go up just before the winter period. Some of the strategies that can be used to trade commodities at 24 options are the future forward contract and hedging. Without futures and hedging initiatives market volatility in commodity prices is likely to degenerate uncalled for bankruptcies for businesses requiring certain level of predictability in managing their operational expenses. In addition, when markets are getting more volatile or unpredictable, commodities can be used as financial products that can be used to place your money on. For instance, during certain times of the year, or during certain events such as world wars, war on Iraq, war on Iraq, or uprising tensions in North Korea, financial debt instruments such as bonds do not perform well and traders can shift their allegiance to commodities because the demand even in war stricken countries is likely to go up as a result of humanitarian aid export. In today’s information age an investor do not have to physically own stocks from companies through share certificates in order to make profit. An investor is only required to make a prediction on how a certain underlying stock will perform whether it shall be bullish or bearish within a certain period of time. Depending with the outcome of the prediction a profit or loss is made. For instance, if a trader anticipates that a company such as Apple is releasing a new product with an inspiring patent that is likely to soar sales, the investor can “call” Apple corporation shares for a period of two weeks and when the company releases the product after a week and announces record breaking sales, the same investor may “put” the shares and make a profit, but if the market act otherwise investors will lose their invested capital on this trade. This is legal business and it means retiring early. Stocks are also ideal during financial announcements when certain companies are anticipated to release results beyond investor expectations. During such times the share prices tend to rally and it is always an opportunity to make money. Some of the companies that traders can invest in include; General Electric, Amazon, Coca Cola, Microsoft, Sainsbury, British Petroleum PLC, Samsung Electronics, Apple, Societe General, Nike, and Citi Group among other prestigious multinational companies. However, it is advisable to make comprehensive research towards an industry overall outlook before making predictions in a company operating from a certain niche. For example, we all know that crude oil prices in 2014/2015 period have been going down, we expect oil multinational companies to not make any meaningful profits and it would be unwise to place a “call” during such a period of time rather a put is considered the most safest bet. An index is a figure representing top shares from a particular stock market. For instance, we have the FTSE 100 which represents the largest 100 companies trading on London Stock Exchange. If you invest in FTSE 100 you will then be investing directly in these companies and when their average share price goes up you gain. Other indices include the S & P 500, NASDAQ, Dow Jones, and Japan’s Nikkei. The index is computed using a capitalization-weighted average and this means that the size of each organization is considered. The more a company’s net worth is larger the more the share price is likely to affect the index. There are also certain indices which are price-weighted and this includes the likes of Dow Jones and Nikkei. This means that a stock trading at 200 is accorded fivefold more weight that a stock trading at $40. 24 options is one of the most robust platforms that can be used to trade leading global indices. For example, when trading on NASDAQ which is basically a techno savvy index, you should evaluate the entire industry anticipated performance outlook. If PC and tablet sales are declining you exactly know what to expect from the NASDAQ index. A Forex chart is primarily used for tracking asset prices. Traders normally utilize charts to determine the direction or trend that a particular asset is travelling to whether east or west. The charts provide real-time market information together with historical prices. There are usually different charts available for different underling asset types. Some of the most popular charts with traders doing business with 24 options include candles, areas, bars, and lines. It is considered to be the most basic because it represents the closing prices within a particular period of time. A line is formed as a result of connecting the closing prices within a given time frame. Line charts do not have the highs and lows and therefore cannot provide a holistic view of any particular trade but rather just provide a trend. Since a trading day closing price is considered to be vital towards the next day opening price, line charts are considered vital analysis tools and this is the main reasons why it is provided through the 24 options day trading platform. It mainly expands on the line chart. This particular chart comprises of series of vertical lines that represent unique data points. The vertical lines are used as an indicator of the assets high or low during a particular trading period, alongside the closing price. The opening price is illustrated through a dash residing on the left hand side of the vertical bar. It is mainly used by professional traders because it reflects underlying assets price movements and the point and figure chart is seldom concerned with the time and volume in its generation of points. This chart type also eliminates noise or rather insignificant price movements that are likely to confuse a trader on the likely trend. In brief, the point and figure chart neutralizes skewing effect that time indicates on various chart analysis. Such a chart type is ideal for a long term trader targeting a huge price movement after a period of time and it is ideal for traders with a long term forecast such as the fund managers managing assets such as pension schemes. In conclusion we can say that trading charts provide a key fundamental aspect of technical analysis and it is of paramount importance that traders clearly understand the information being disseminated by a chart. The minimum deposits for credit cards are $250, for e-wallet providers it is $250, and for bank wire transfer it is $1,000. There is also a maximum daily and monthly deposit limits which are $10,000 and $40,000 respectively. It is also possible to deposit cash in alternative currencies other than the dollar whereby some of the currencies being supported include the Euro, Japanese Yen, and British Pound. Deposits from credit cards and e-wallets are credited immediately into the traders account while wire money transfer may take up to five working days. The withdrawal process is fairly simple, secure, and straightforward. A trader only needs to log in, select the banking page, the choose withdrawal option. The trader fills in the required fields inclusive of the amount they wish to withdraw. There are various withdrawal options, but the company’s policy is that all withdrawals must be processed back to the original source of funds. For instance, if a trader had made a deposit using money transfer, they cannot withdraw back funds to a different processor such as a credit card or an e-wallet. Withdrawal request can be made anytime of the day, however, processing of the funds will only commence after requisite documents have been scanned , sent, and verified by 24option money laundering department. There are no withdrawal limits provided that the funds are available from the traders account, and the withdrawals are usually expedited as soon as the relevant documents have been sent. The withdrawals attract some small fee. Wire money transfer attracts $30 and the minimum withdrawal amount is $50. Neteller, Skrill and credit cards attract 3.5 percent, 2 percent, and 3.5 percent respectively and they do not have a minimum withdrawal amount. The company is also in talks with other electronic payment systems providers in order to facilitate swift withdrawals and deposits for client funds. However, the supported options can be easily used by both prospective and current client’s regardless of their respective regions since in the world today there is no single country without a developed banking system, or no country is connected to the internet whereby clients are denied an opportunity to enjoy electronic payment systems facilitated by the information super highway. The company has made considerable steps towards educating its clientele and some of the educational opportunities available from the trading platform include binary options training course with a live mentor. Traders also have access to electronic books that showcases how best to execute trades in both volatile and non-volatile markets. The books are easily downloaded and they have been packaged through portable document format (PDF) which makes it absolutely easier to grab the concepts provided that your computer or tablet device is installed with a .PDF reader. Across the educational center trader will be shown how to analyze various trade tools such as Fibonacci analysis, how to read and interpret different types of charts, which are the best time to trade particular underlying assets, and when to enter and exit the market. Traders are also accustomed with how 24options platform works and traders will have access to online tutorials that shows them how to open up a trade, close a trade, and even initiate strategies such as the 60 seconds. There are also live webinars conducted by 24option Senior Account Managers not mentioning the awesome video lectures showcasing the best margin trading skills. The live webinars showcase industry best practices on how to trade and they normally include valuable information that can be used by a beginner to a professional trader. However, you must be a 24 options customer to enjoy such privileges. However, it is advisable to take note that margin trading involves substantial risk of funds and therefore it is not advisable to invest money that you cannot afford to lose. The App is a mobile trading platform that enables traders to trade binary options while on the go. Through the App it is possible to access your traders personal account and view how the markets are performing right from the palms of your hand through a tablet machine or a smartphone. Since mobile devices are portable, it is possible to trade from anywhere and at any time because the App provides access to all the features of 24option trading platform. You only need to download the App from Google play store, Apple iTunes store if you are an Apple customer and begin trading. However, in order for the App to work best your gadget must have a strong internet connection, 3G is preferred but the 4th Generation Long Term Evolution (LTE) works best since margin trading entails per second speed and devices that lag with slow internet connection or hang are likely to make a trader lose an trading opportunity. 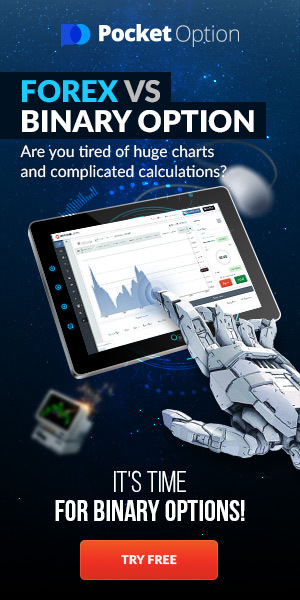 The mobile App comes with an intuitive user friendly interface that enables day traders to access financial tools such as charts for industry specific analysis and market related news. The charts can be viewed on a five second basic, fifteen seconds, minute, five minutes or even hourly right through the device provided the resolution is superb and the screen is of reasonable size. The App is available for android, iOS, Windows, and Symbian mobile devices operating platform and this means that whichever device that an investor owns, they can still be able to explore the features of the 24option mobile App. To begin using the App users are required to enter their login credentials before being directed to a page to select a trade or even view his/her open trades. The company allows traders to enjoy exclusive bonuses of up to 100 percent of the deposited amount provided it is over $250. However, the bonuses are usually held under the company’s terms and conditions and should the company suspect of any kind of deception they have the right to revoke the bonus awarded. · Technology Bonus 1: under this scheme a trader is awarded with an IPad tablet machine. In order to qualify for the gadget, a minimum deposit of $10,000 must be deposited into a traders account and a minimum of $50,000 in trading volume should be hit. · Technology bonus 2: Here a trader is awarded with a MacBook but they should first make a minimum deposit of $20,000 and reach a threshold of $100,000 in trading volume. · $24 Account Bonus for Mobile Application: The scheme is designed for any trader who downloads, after registration, the company’s mobile App and funds are usually credited to the account upon activation of the account. · Cash Bonus: The Company may award a trader with cash of any amount and this differs from a trader to a trader. 24option is arguable one of the highest regulated binary options and Forex brokers in the industry. The company boasts of a robust and scalable web operating platform that provides an adrenalin rush when executing any trade. The company is registered in Cyprus, however, it boasts of various satellite offices in different European capitals. Since the company is highly regulated, they have initiated strict policy and guidelines when it comes to registering new customers, receiving deposits and sending withdrawals. The company strictly adheres to “know your customer” policy and perhaps this is one of the reasons as to why it has managed to expand its operations very fast in the market even eclipsing companies that earlier ventured into this particular line of business of margin trading. Through 24option it is possible to trade through a computer browser or you can download the mobile app that can be used to trade while on the go. The company is concerned with its customer service provisioning and it has made remarkable achievements to ensure that the deposit and withdrawal process is pain free. 24 options support numerous deposit and withdrawal options not limited to credit/debit cards, electronic wallets, and bank wire money transfer. However, in line with industry best practices of know your customer, 24 options does not allow third party deposits. There is no minimum payout amount provided the account was funded through Skrill, but ifa customer decides to use wire money transfer the minimum payout is pegged at $30. In order to make a trade, an investor is required to commit a minimum of $24 which is absolutely a very small amount by any standard. Courtesy of a global clientele base, the company has made great strides to ensure that prospective clients regardless of whichever regions are considered as important family of the company. As a matter of fact, 24options operating platform is so far translated into over 12 major global languages including Chinese, Arabic, French, Russian, and Portuguese. The customer service is also superb because they are available round the clock and regardless of the region that you are coming from whether Russia, China, or Denmark, there is always a customer representative who can always communicate with you through your chosen language. In addition, the minimum deposits are also pocket friendly, an individual is only required to have only $250 to make his first trade while the maximum deposits are also favorable for professional traders who are allowed to deposit as much as $100,000 through the platinum trading account. However, it is proper to be aware of the risk disclaimer that margin trading involves substantial risk of loss of funds and it is therefore not advisable to invest funds that you cannot afford to lose. m deposits are also pocket friendly, an individual is only required to have only $250 to make his first trade while the maximum deposits are also favorable for professional traders who are allowed to deposit as much as $100,000 through the platinum trading account.